A few years ago Mike, Jodie and I together with another friend of ours, James Duffy, set up a joke online dating website called Darwin Dating. We'd recently read a book called Buzz Marketing which is about ways to get people to talk about your brand and we wanted to test the theory out. The concept behind Darwin Dating is that it's a dating website for attractive people only, we set it up to be humorous and a little controversial to see if we could get some buzz. It worked and with very little PR effort on our behalf the site has received some fantastic press coverage. All this great press lead to literally 1000's of people writing about the site and linking to us online, resulting in some great SEO rankings. At it's peak Darwin Dating ranked in the top couple of results for 'dating website' and 'dating websites' and still generally ranks on page 1 and 2 of Google for those keywords respectively. Despite all of that, amongst a number of great lessons a key one we learnt from the experience was that dating websites require a critical mass of users in a geographic area before you can charge users and make money. While Darwin Dating has 20,000 members we only have critical mass in two markets, London (5k members) and New York (3k members). We could charge members a fee in those markets, but not in places like Sydney (100 members). As we've since learnt, other dating sites either target specific geographic regions, or group together 100's of niche dating sites like ours that all share the same membership base. So we've decided to sell Darwin Dating. It's likely to be most valuable to a dating site aggregator, though someone who was motivated to push the PR a little could no doubt get the site a lot more press and improve upon it's already very good SEO rankings, and potentially reach the point of critical mass to charge users, at least in some markets. In regards to the price we'd sell it for, our understanding of the online dating industry is that a free dating website sign up is worth about $3. Based on the last 6 months of data our 8,800 annual membership applications are worth $26,400. There are essentially no costs, so at a conservative multiple of 2 that would value the site at just over $50,000. We'd love for you to pass this post on to anyone you think might be interested. I also found it interesting that beautifulpeople.com is offering to match sperm donors with its "beautiful" members. Another possible revenue stream? That's a great article. Beautiful People do a brilliant job hamming up the controversy and getting great PR for their site. 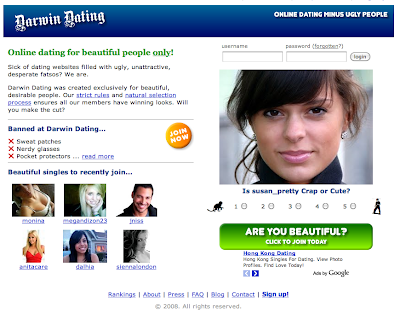 We actually rank second behind them on Google for the search term 'Beautiful People Dating'. 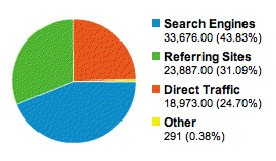 Whenever they do a PR stunt like the one you mention we get a big traffic spike from that keyword. It's good article but the statics for traffic is not accurate as per alexa .It's way high. It's good humor dating site.To make money for online dating site is affilating marketing and banner ads and keeping site free for members. It has been over 3 years now and site is still live with traffic trailing off. Would you still like to sell? It has been 3 years since this was posted but noticed site is still live and traffic has trailed off. Ready to be finished with it?